Hippu Salk Kristle Nathan teaches and researches at the National Institute of Advanced Studies, Bangalore. In India we rarely see solar photovoltaic (PV) installations in urban settings. Few commercial buildings, industries or government institutions in city areas can boast of solar panels on their rooftops. Solar PV electricity is costlier than the conventional grid option, which might explain why even rich urban households do not use solar. However, despite their generally lower capacity to pay some rural homes end up deploying solar PV systems, thanks to government subsidies. Many would justify the rural emphasis of solar PV by citing ‘need’: indeed, rural areas face something of an electricity crisis. Approximately one-third of rural households don’t have an electricity connection and long hours of load-shedding are typical of Indian villages. Yet, this logic doesn’t seem to have governed the dispersal of other technologies in India. For example, the government did not promote costly cell phones in rural areas even though such areas were crying out for better telecommunication facilities. Instead, rich urbanites were the first to adopt this new technology. Over time, the technology spread organically to rural areas as cell phones became cheaper. The pathway to mobile phone revolution is no different than that of TV or for that matter any other product. Then why should solar PV take the rural route to begin with? The advocators of ‘solar for rural’ usually give a four-pronged argument. First, solar requires open space, which is more available in rural areas. Second, rural areas are remotely connected to the grid. 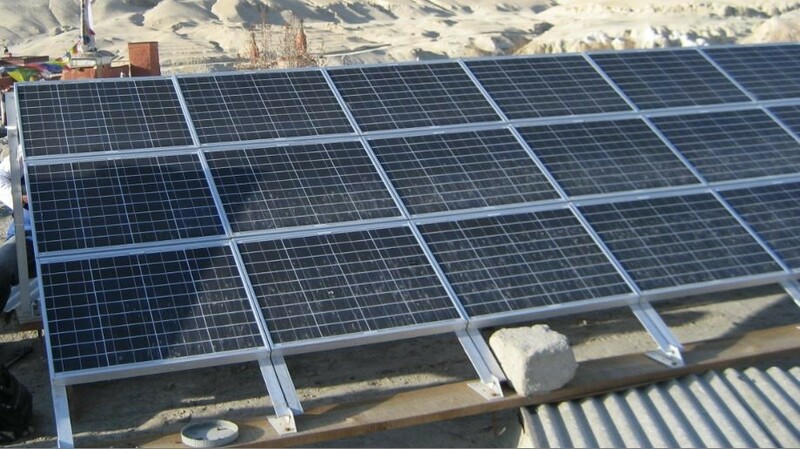 Third, solar schemes involve subsidies, which in India are often associated with rural areas. Lastly, promotion of solar in rural areas can facilitate India’s climate commitments. In a special article in the Economic Political Weekly of December 13, 2014 Issue, I addressed these arguments and attempted to highlight some of the fallacies. The ‘open space’ argument does not hold water given the availability of urban rooftop space. The ‘remoteness from grid’ argument is not persuasive either because over 95% of the rural households living in darkness or using kerosene or other inferior fuels for lighting belongs to electrified villages. Field-based review reports in fact attribute subsidies as one of the causes for failure of solar in rural areas. Last, but not the least, the ‘climate’ argument is entirely misplaced as urban areas contribute far more to climate change. So, burdening rural areas with solar runs counter to the principle of “common but differential responsibility”. We in India, like other developing societies, witness large urban-rural gaps in health, education, income, and amenities. Unequal provision of electricity reinforces and escalates these inequalities further. In terms of household electricity connections, the urban-rural gap is on decline in India. But it is not a ‘convergence story’ when one looks into the per capita electricity consumption of those who are connected. As per the National Sample Survey the rural-urban gap has increased approximately three times during 1987 to 2009. Given this urban-rural inequality, urban areas must come forward to absorb the uncertainties of solar technology, and be the early adopters. Government needs to put an urban focus in solar PV policy, and solar equipment suppliers must make products attractive for urbanites. Urban solar use would save conventional electricity for rural consumption. With more success in urban locations, rural areas can benefit from scale. Finally, an ‘urban first’ approach to solar will ensure that the climate burden is not misplaced.